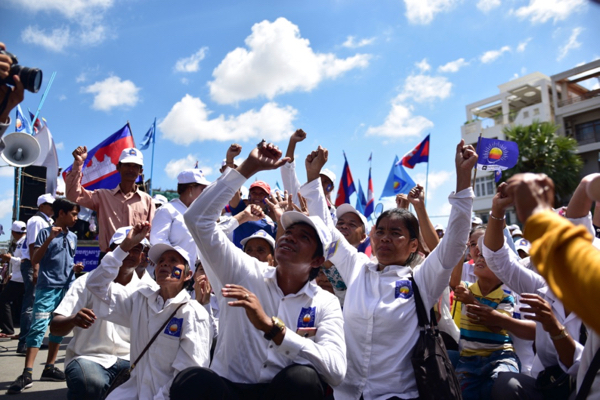 PHNOM PENH — Hundreds of thousands of Cambodians braved scorching sun in the capital on Friday to cheer Prime Minister Hun Sen and opposition leader Kem Sokha on the final day of campaigning ahead of Sunday (June 4) when strongly contested commune, or sangkat elections, are being held. 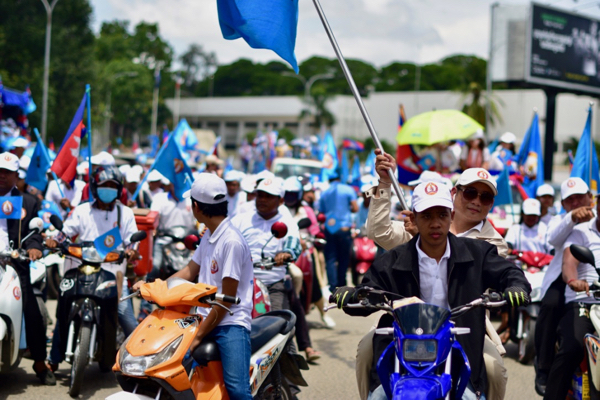 Supporters of the ruling Cambodian People’s Party (CPP) and the Cambodian National Rescue Party (CNRP) trailed party leaders in huge motorcades that snaked through the burgeoning capital as the country’s two main parties made final pitches to almost 8 million Cambodians registered to vote. With parliamentary elections scheduled for 2018, the local elections have taken on added significance as an indicator of what is likely to happen. 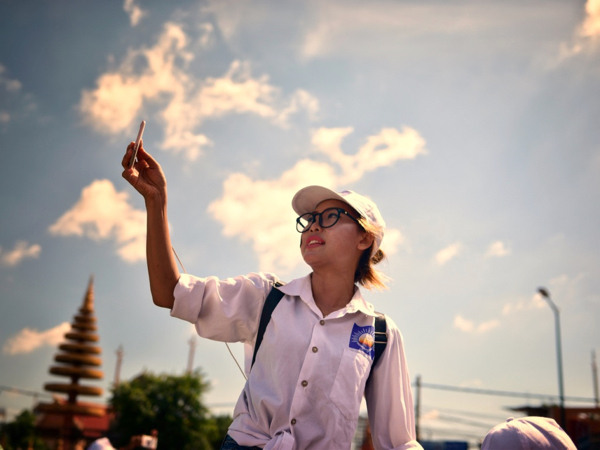 The last national elections in 2013 saw CPP squeak through, but with the CNRP claiming fraud had cost it the election. 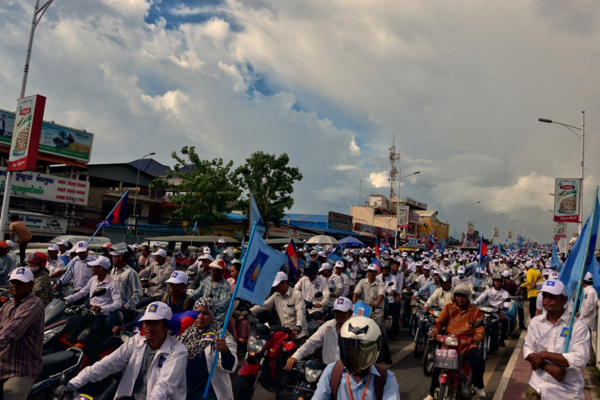 The CPP wants to repeat the 60% vote it won in the 2012 commune elections, but the CNRP is targeting a similar figure. The huge turnouts for the two main parties in the capital suggest slim pickings ahead for the 10 smaller parties also in the race. 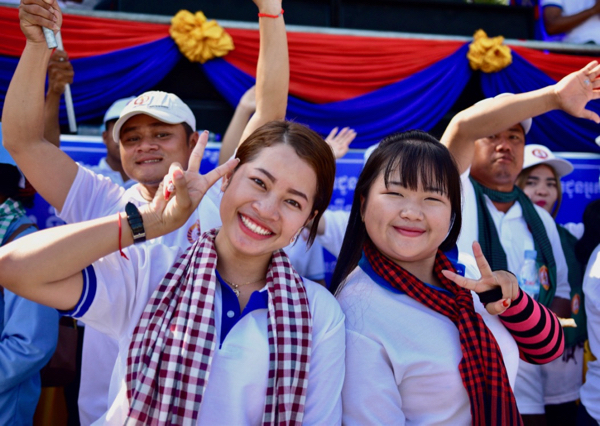 The CPP is running on its record overseeing Cambodia’s two decades of almost uninterrupted economic growth of around 7% annually, and increased urban prosperity, particularly in Phnom Penh where a building boom has been underway in recent years. 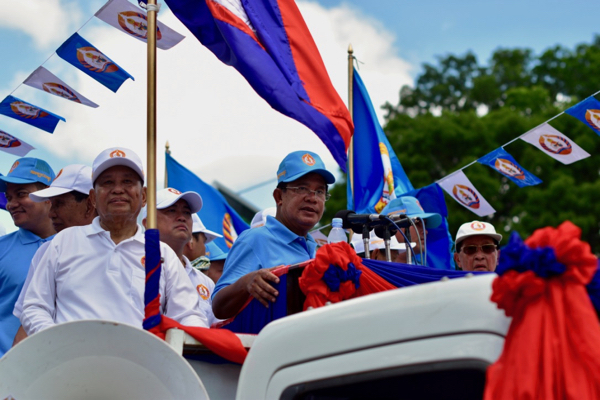 Hun Sen’s rare campaign appearance on Friday showed CPP to be taking the CNRP challenge seriously. “This is a choice between development, peace, and security, or chaotic destruction,” the prime minister told supporters. 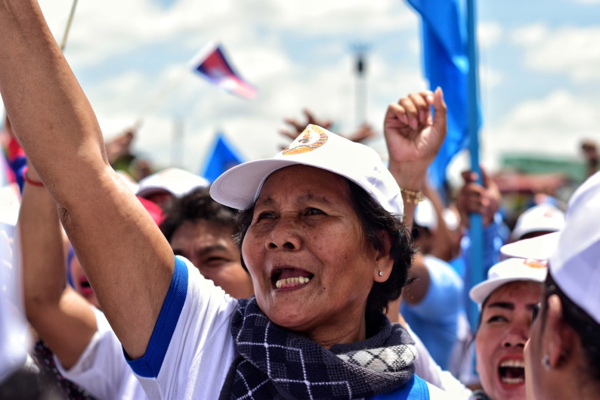 The CNRP has accused the CPP of staying in power too long — Hun Sen first became prime minister in 1985 — and of repressive tactics. 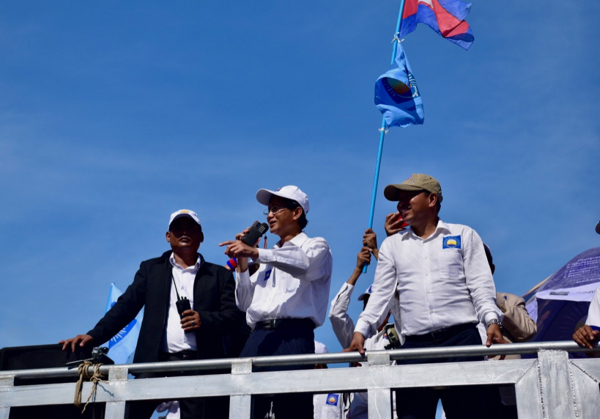 Opposition leader Sam Rainsy is again in exile, fleeing what he calls politically-motivated defamation charges. The National Assembly recently passed a law enabling the courts to disband opposition parties. Despite the tensions and scorching sun on Friday, both rallies were high spirited and good humored. 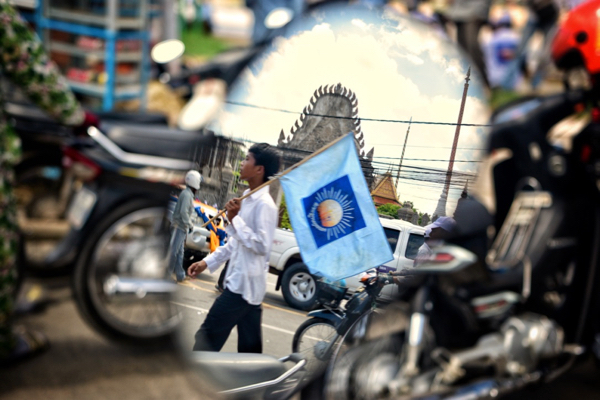 “I’m here to see change — I think CNRP can take the country forward,” said Sim Suria, an opposition supporter. 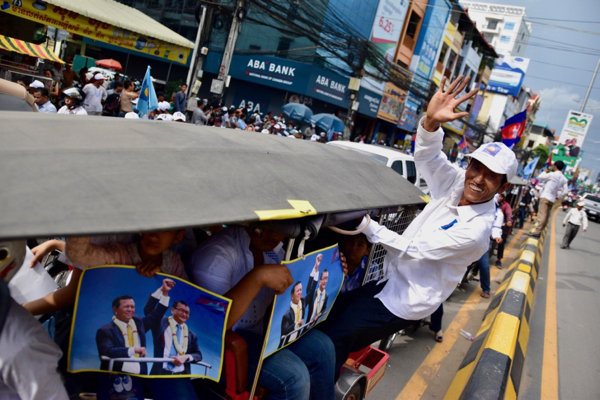 “He has been a good leader, good for the country,” said Mun Vuthy, wearing party colors and baseball cap as he stood waiting for Prime Hun Minister Hun Sen to pass through a busy intersection.